Stud shoes reinforce studs notched in construction. They are not a total replacement of removed material. Installs over pipe up to 2 3/8" outside diameter. 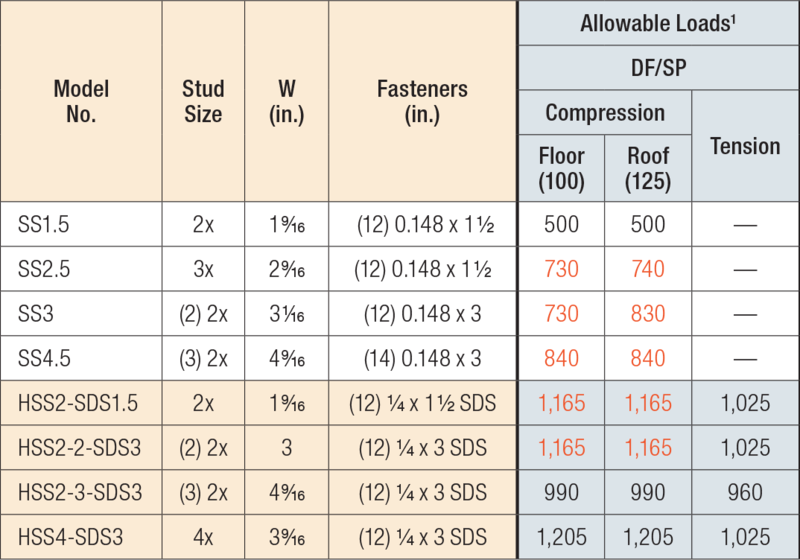 HSS stud shoes provide tension load capacity as well as increased compression loads. Flared flange provides greater strength. HSS See specific model numbers for code listings. SS See specific model numbers for code listings.